J. Allan “Al” Rent was a lifelong devotee of public media, his alma mater Ball State, the arts and many other not-for-profit causes. 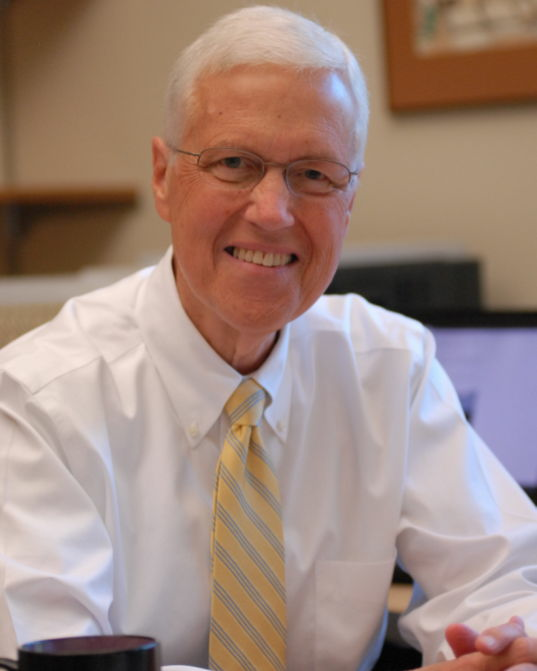 At the time of his passing in 2017, he was the executive director and general manager for WIPB-TV and Indiana Public Radio, the public broadcasting affiliate stations licensed to Ball State University. Public broadcasting is also where his career began. In the 1960s, he was a student program director for WCRD, the position he held when he famously fired David Letterman. Al was the host on October 31, 1971, the day WIPB-TV signed on the air for the first time. He continued volunteering for both stations, hosting Telesale, pledge drives and numerous local television shows. He was many things to many people. Indiana Public Radio and WIPB-TV are powerhouses for delivering educational, non-commercial programming to East Central Indiana. The stations deliver high-quality content on multiple platforms, including digital, television, radio, and online, and are a catalyst for creating community connections. When an anonymous donor came forward with the intention to create a fund to honor the legacy and spread the inspiration of Al, the IPR/WIPB Advisory Council jumped at the opportunity to match the donation, creating the Al Rent Honorary IPR/WIPB Public Media Student Fund through The Community Foundation. “It was the donor’s intent to make the award community-centered, and they found The Community Foundation to be the right vehicle for what they were trying to do,” Alena McKenzie, the IPR/WIPB major gifts officer, said. The fund was created to commemorate Al’s professional career and volunteer work in public media and his commitment to nurturing the new generation of public media professionals and supporters. It will provide an annual award for one student, as well as supplement student employee wages at IPR and WIPB to encourage student participation in public media. This award will help recruit and retain quality public media workers and quality producers, reporters, and people who help with other functions. It will help the stations foster the next generation of IPR/WIPB supporters. Although Al never saw the fruition of his honorary fun, he was told about the process by committee member and Advisory Council representative for Grant County, LaRea Slater. She was a longtime friend of Al’s and recalls his enthusiasm for the fund. Volunteering within the community was like a full-time job for Al, and he gave selflessly to multiple organizations. He was held with such high regard in Muncie that community members had a hard time saying no to him. Al’s death in January 2017 shocked both the Muncie and Ball State communities. Al’s family designated The Community Foundation of Muncie and Delaware County as one of three organizations to be recipients for memorial donations in lieu of flowers. The memorials went into the Al Rent Honorary IPR/WIPB Public Media Student Fund, which was in the process of growing into a full-fledged fund using the Acorn program. The fund has now graduated from the Acorn program. The first award process will begin in fall of 2018. Alena expressed that the award will be offered to both student workers and volunteers as long as the recipient shows exemplary work in public media. According to LaRea, applicants who show the “Spirit of Al Rent” will be strongly considered. Ideally, the stations would like past recipients to make themselves available to future applicants for mentorship and inspiration. In addition to recognizing students and volunteers who have done exemplary work in public media, the award will also share with the community the importance of having stations like Indiana Public Radio and WIPB-TV. After Al’s passing, the personal meaning of the award changed for employees, volunteers, and advocates for public media alike.